Proactively searching for jobs will increase the odds of landing your dream job or career. Planning in advance is a fundamental aspect of job hunting. 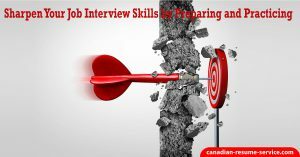 It involves organizing and practicing for the interview phase very meticulously. This portion of our website offers advice on what to expect in an interview, types of interviews, how to conduct yourself in an appropriate and professional manner, interview strategies, and other pertinent information and tips. Do not go to an interview without being prepared first!